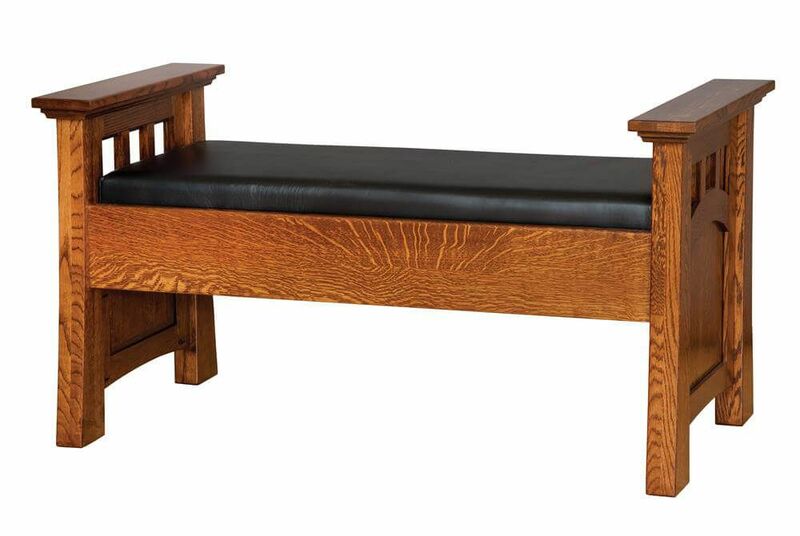 For removing shoes and socks at the end of the day or putting them on at the start, our Amish handcrafted Mission Canyon Bedroom Bench has you covered. Our carefully crafted Mission Canyon Bedroom Bench is ideally placed at the foot of the bed or under your bedroom window. The real wood bedroom bench can also be used as a vanity bench for applying cosmetics and accessories. For your own Mission Canyon Bedroom Collection, create your Amish-made bench in the solid wood of your choosing. To obtain look shown, order in Rustic Quartersawn White Oak with a Burnished Honey hand-rubbed stain. Fabric and full grain leather options are available for the seat upholstery.